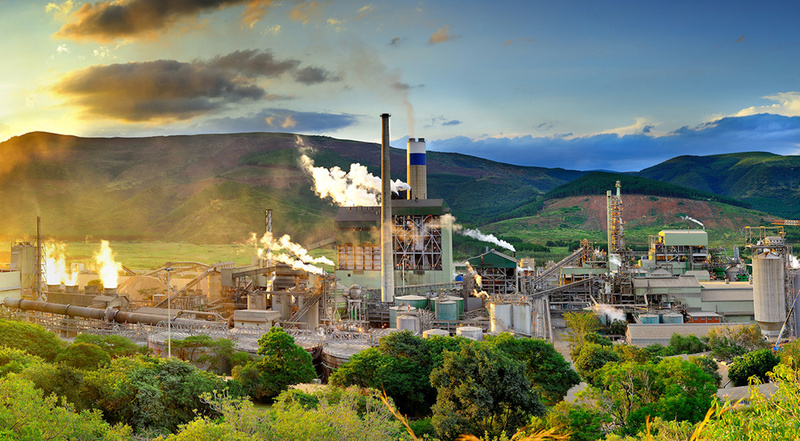 Ngodwana Mill has been in operation since 1966 and entered the dissolving wood pulp (DWP) market in 2013 with the conversion of part of the mill’s paper grade pulp production to DWP production. 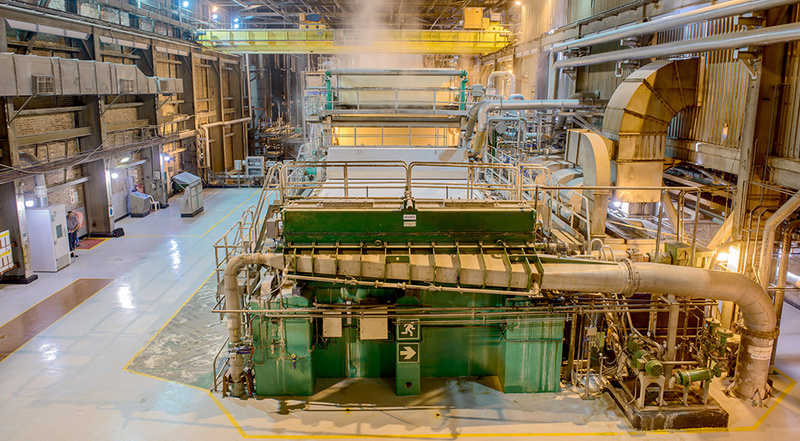 The mill produces paper grade pulp for own and for market consumption, as well as newsprint, containerboard and DWP. It is located along the N4 national road in the scenic Elands Valley, 50 km from Mbombela, the capital city of Mpumalanga province. Conveniently situated amidst Sappi’s own commercial forestry operations, the mill produces 330,000 tons of paper pulp for own consumption, 250,000 tons of DWP and 380,000 tons of paper (newsprint and kraft linerboard used for packaging) per annum. 70% of the mill’s product is exported and the balance is used locally. The mill generates its own energy in the form of steam and electricity from renewable and other sources. On average, the mill exports power to the national grid, helping to fuel the growing local economy. 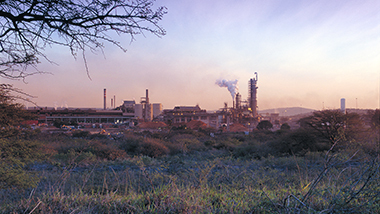 Ngodwana Mill is a major role player in the province, contributing over ZAR5 billion annually to the local economy. The mill employs over 1,000 staff and 700 contractors and more than 43,000 people in the province depend on Sappi for their livelihood. 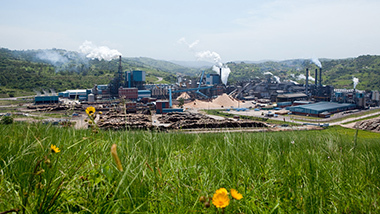 Since the mill produced its first pulp fifty years ago, the mill has undergone numerous significant expansions, including the addition of two paper machines, a coal-fired power boiler and a DWP plant. Ngodwana Mill is Forest Stewardship Council® (FSC®) accredited and complies with responsible and sustainable forestation practices. 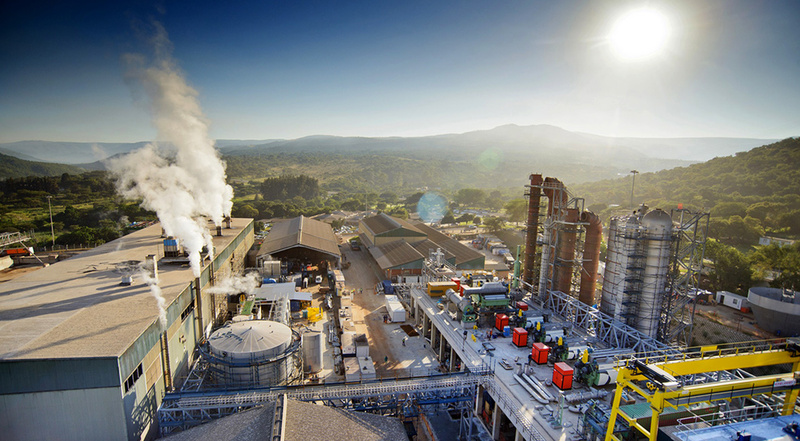 It was also the first integrated pulp and paper mill in South Africa to be accredited with the internationally recognised environmental management system (ISO 14001), and has also been accredited with the quality management system (ISO 9001). Safety is Ngodwana Mill’s number one priority and the mill complies with the safety management system (OHSAS 18001). 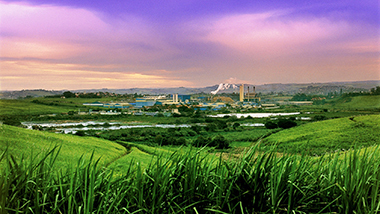 As part of the mill’s sustainability journey, great care is taken to minimise the use of natural resources; reduce air emissions, effluent discharge and solid waste; as well as improve energy efficiency. 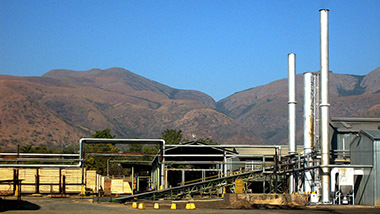 The mill has been uniquely designed to minimise the use of fresh water and performs in the top fifth percentile of integrated pulp and paper mills worldwide in this regard. Sappi established a local community upliftment-training programme to upskill people from communities surrounding the mill. 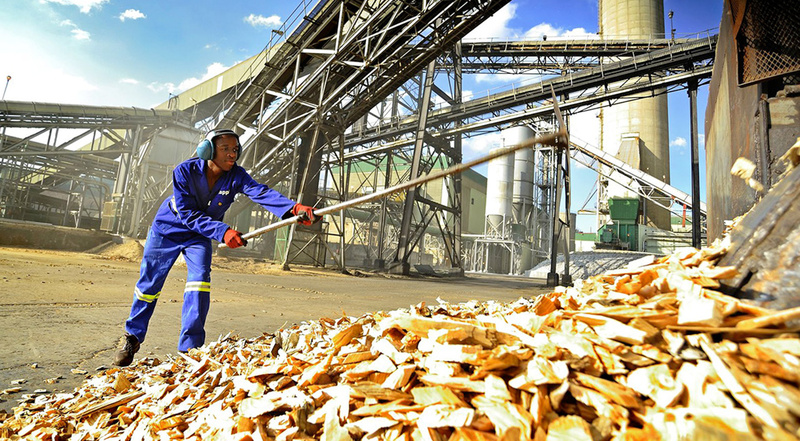 To date Sappi has spent over ZAR3.8 million on this project, and more than 800 trainees have been trained in various construction and building related skills. The mill annually employs some of these upskilled locals to work on the annual mill shut. They are also employed on local contracts such as the upgrade of the Sappi Excalibur Lodge. • Sappi Early Childhood Development Centre (ECD) — Sappi in partnership with the Penreach Teacher Development Programme has established an ECD Centre at a local rural school. Sappi funds the programme and also provides management, technical and other support. • Programme for Technological Careers (PROTEC) — A national science and technology career development programme promoting technology literacy for learners in grades 10-12. Artisan training is also given to provide in the future needs of the company and community. 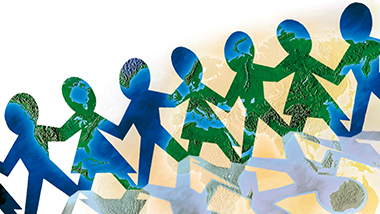 Our policy is focused on education, training and awareness programmes; the promotion of acceptance and transparency around the disease in the workplace and reasonable and appropriate support for infected and affected employees. The mill in partnership with non-profit organisation Northstar Alliance has established a primary healthcare clinic in Ngodwana to provide the surrounding community and long distance truck drivers with sustainable access to basic health care and safety. We engage our employees as well as local businesses and non-government organisations to assist with ongoing and sustainable community outreach programmes that address: water and sanitation, improving school infrastructure, food schemes, blanket drives and home-based care. The main beneficiaries are orphan and vulnerable children, the aged and unemployed locals. Stanger Mill produces pulp for own consumption, as well as coated woodfree paper and tissue wadding.